Pheromones and organic substances released by aquatic organisms may harm other aquarium inhabitants. 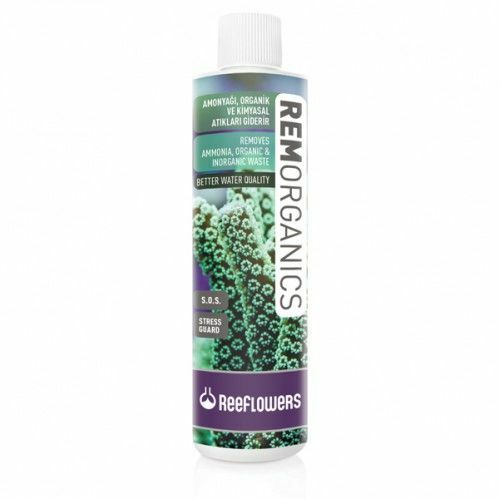 ReeFlowers RemOrganics rids your aquarium water of organic and inorganic harmful waste improving water quality. The solution eliminates ammonia, chlorine and heavy metals. It can also be used to clean water when setting up new aquariums, before water changes and after medical treatments helping to reduce stress and acclimatise new fish.